Yipee – let’s go guys! 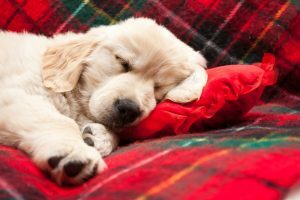 Boredom, loneliness, territory protection, prey instincts and separation anxiety are reasons that may lead a dog to stray. So how do you stop your dog from escaping? The answer may be more straight forward than you think. Firstly it is important to assess the reasons why the dog is escaping. What is it that draws him off, is it food, livestock another dog or boredom? It goes without saying that every dog owner wishes to prevent their dog from escaping and getting into danger. Outside the safety of the garden your dog risks getting into a fight, being hit by a vehicle, being stolen or even eating something poisonous. There is also responsibility; a free roaming dog is a threat to children, livestock and even other dogs on a lead. You may have already asked your trainer how to stop your dog from escaping. Many owners report that the dog develops the habit of escaping through the front door as soon as it is opened. They may also get rewarded for escaping. They get to roam the neighbourhood, scour bins and possibly enjoy a game with another dog! Hence, this then becomes a hard to break habit. Teach your dog to wait at the door until you open it for him and to never go out on its own. Always rewards his good behavior. Your dog will stop getting out of the garden to enjoy treats from you. Ensure that your garden area is well secured to stop your dog from escaping. 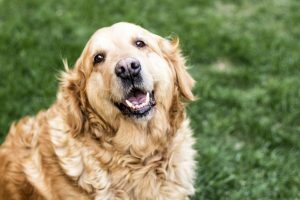 You may be able to use a 6-foot fence to secure the area because most dogs cannot jump over it – you could also consider digging in a chicken wire along the fence line below ground. When a dog is determined to escape, it can do anything to gain access to digging under the 6-foot fence. The chicken wire will be uncomfortable for the dog, and may prevent deter the dog from digging. You can also place concrete or wood blocks at the bottom of your fence to discourage digging. Try to avoid picket fencing as this can cause serious injury to your dog or cat if they impale themselves on the stakes. The issue with a lot of fencing is that wildlife can damage the wire and make holes within the fencing. If you have an uneven garden terrain, consider having a smaller dog run that could be confined to one corner. Another alternative for securing the garden is installing underground or invisible fencing. The hidden fence uses a small computer collar that interacts with a signal that surrounds the property. When the dog enters the “no go zone” the dog’s collar reacts to the radio signal and gives the dog a high pitched warning beep to alert the dog that he or she is in the wrong area. If the dog continues the collar gives out a low level static shock (correction). The dog will have been trained to know where the “no go zone” area is located through a training protocol that uses both vocal and visual indicators. 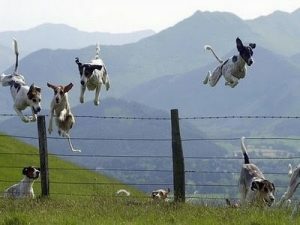 The advantage of an invisible dog fence is that they can be installed on nearly any terrain. Over the years there has been negative press on the use of electronic dog fences, often referred to as electric dog fence but recent studies have dispelled the myths, indeed a study into cat containment reported that there are no negative long term effects with using an electronic fence. (Lincoln 2016) http://www.lincoln.ac.uk/news/2016/09/1265.asp. Driveways are always going to be a weak point, as are open areas which cannot be fenced due to planning restrictions. These areas really are ideal for using electric dog fences. Escaping dogs will always use the weakest point on a property and an open gateway or clear area is a golden opportunity for a dog to make a bid for freedom. An underground dog fence will operate invisibly and effectively 24/7 to prevent the dog or cat from escaping through the vulnerable area. 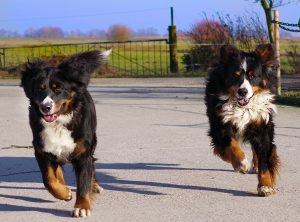 Owners often install electric gates to keep dogs and cats off the roads, however, most dogs will quickly learn that when they hear the buzzer they have an open opportunity to not just run out but amble out at a steady pace. An underground dog fence can be fitted in conjunction with electric gates to prevent the pet from escaping when they hear the buzzer. An open driveway is difficult to secure. If your dog escapes and is caught by a council dog warden you may be issued with a warning, a caution or a fixed penalty fine. If your dog is considered out of control you may even be prosecuted and fined. The penalty is up to 6 months in prison or an unlimited fine! This is surely a big enough incentive to stop a a dog from escaping! Also further controls can be given to the owner. In some cases the dog may be transferred to a local kennels whilst the owner is located at a heavy daily cost or even transferred to shelter and possibly re-homed. Recent media reports have also found out that the RSPCA is too quick to euthanise. Sadly owners pets have been permanently separated from their vets within a matter of weeks. A dog that only stays and plays in the garden will eventually get bored, stressed, frustrated and unhappy. Dog’s need a change of scenery. Just like people a change is as good as a rest. If your dog is bored it will look for ways to break the tedium. For you and your dog’s sanity it is advisable to walk your dog every day if possible. This way he can experience a new environment, remain engaged and interact with other dogs. Exercises not only boosts your dog’s socialization skills but also stimulates its mind. Country walks or walks in the park are a great way to stimulate your dog. The sounds, scents and interaction with nature and other dogs will keep him fresh. If you exercise your dog daily or regularly then this should help to stop your dog escaping from the garden. Just like human beings, dogs like adventure and to discover new things. If you want to stop your dog from escaping you need to break the cycle. It may be that you need to install a containment fence or that you need to train your dog or exercise him more. If the issue is not tackled then the habit will continue. As an owners we must look at the issue from two angles. Primarily we need to be responsible for our dog’s welfare, state of mind and health. 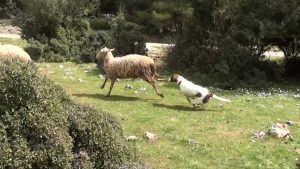 However, we also have a responsibility to those people, livestock and property that a wandering dog may come in contact with. An engaged happy dog will be less likely to wander.